Blue Flag beaches and stylish harbour towns – fancy a slice of Liguria? Searching for a property in Italy close to a clean, picturesque beach? If so, there’s a good chance you’ll find your dream home in Liguria. Liguria is the Italian region with the highest number of Blue Flag beaches, according to the latest Blue Flag Awards, organised by the Foundation for Environmental Education (FEE). Bordering France in the west and dubbed the ‘Italian Riviera’, Liguria’s coastline was awarded 25 Blue Flag beaches in 2016, two more than last year. Liguria is home to the impressive city of Genoa, but arguably its most famous coastal town is Portofino. The Italian region with the second highest number of Blue Flag beaches is also in the north of Italy, namely Tuscany, with 19. This is followed by Le Marche (17), Campania (14), Puglia (11), and then Sardinia (11). Liguria is home to the impressive city of Genoa, but arguably its most famous coastal town is Portofino, with its pretty harbour and associations with celebrities and artists. Overlooking the beautiful Tigullio Gulf, Portofino’s nearest Blue Flag beach is in neighbouring Santa Margherita Ligure, another picturesque resort set around a harbour. Property in this area is not cheap – in Santa Margherita, the cheapest small apartments start at around €250,000 but for something with a view or near the water, expect to pay from €400,000 and villas on the hillside stretch into the millions of euros. Adjoining Santa Margherita is yet another gem of a seaside resort, Rapallo. Busier and less exclusive than its neighbours, Rapallo could be a more affordable option for snapping up a pad on this very sought after stretch of Mediterranean coastline. Fewer than 10 kilometres west from Rapallo are two more of Liguria’s Blue Flag beaches at Chiavari and Lavagna. 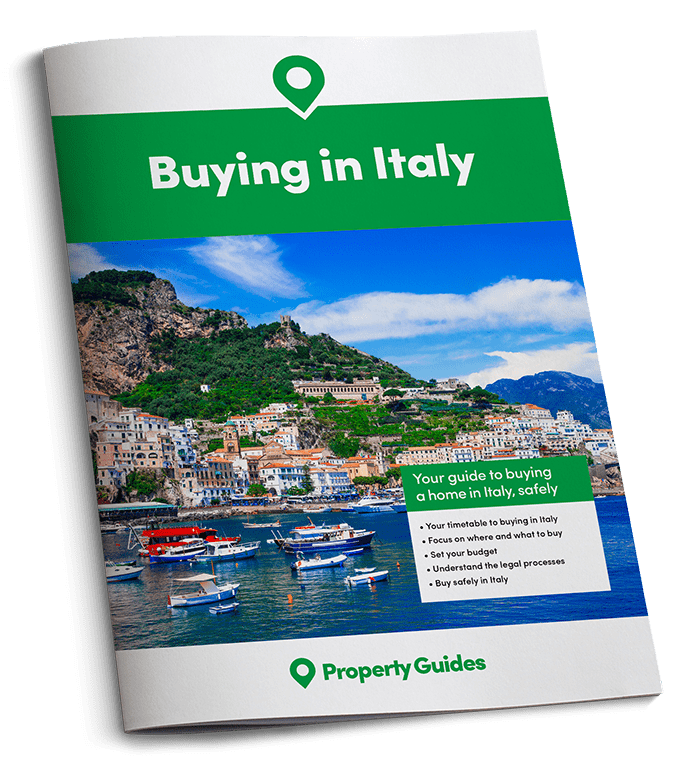 If a hillside, village location is top of your wish list, Liguria’s famous ‘Cinque Terre’ area, to the west of La Spezia, could be right for you. 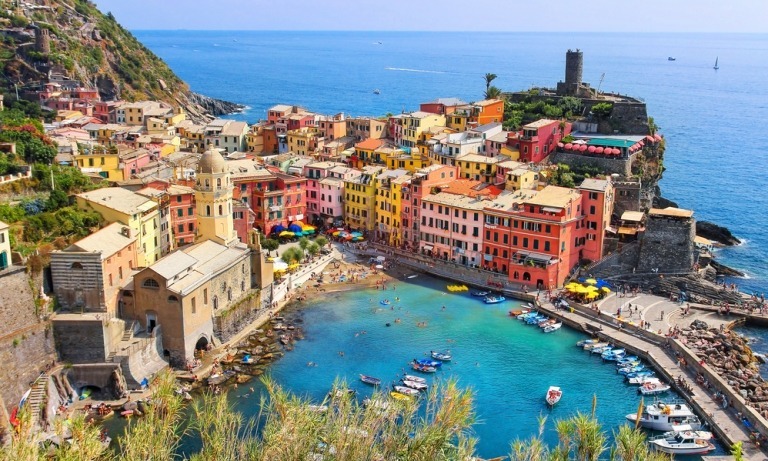 The coastline here includes the five historic villages of Monterosso, Vernazza, Corniglia, Manarola and Riomaggiore, all built into the hillside in stunning locations. Together with the surrounding hillsides, they form the Cinque Terre National Park and a UNESCO World Heritage Site.